Corporate purchasers have already procured over 11 GW of renewable power since 2013, leaving about 50 GW remaining to reach that goal. And with new wind and solar energy projects frequently the lowest-cost source of power, major American companies are increasingly buying both technologies to save money, control their energy costs, and decrease their environmental impacts. However, transmission planners are not adequately accounting for this shifting and new demand. Read more here. Will batteries do for wind what they’re doing for solar?, Utility Dive. Experts say wind-plus-storage could become viable with longer-duration batteries. As part of the company’s efforts to install 5o solar systems by 2020, on Tuesday, Amazon announced the launch of a 1.1 megawatt solar rooftop installation on its North Las Vegas fulfillment center. This entry was posted in NewsBlog and tagged American companies' renewable energy goals, American Wind Energy Association Blog - Into the Wind, corporate purchasers of renewable energy, Everyday Energy, Nebraskans for Solar NewsBlog, renewable energy news, wind energy+storage on May 31, 2018 by Helen Deffenbacher. Every year, AWEA presents industry awards to recognize individuals and companies that have demonstrated excellence in advancing the wind industry. The annual awards program recognizes those leaders, at all levels and areas of the industry, who have shown passion and a clear vision for wind energy. This year, AWEA is launching a new award to recognize cities that have demonstrated that same support and dedication. The AWEA Windy Cities Award will be given annually to one city or municipal utility that has demonstrated a clear commitment to growing the wind industry – by making a wind purchase that year, announcing plans to procure wind energy, or through some other tangible action. Continue reading here. 500 cities have committed to going big on clean energy this year – now what? This entry was posted in Nebraska / Midwest News, NewsBlog and tagged 500 U.S. cities have committed to clean energy this year, Alexander Laska, American Wind Energy Association, American Wind Energy Association Blog - Into the Wind on September 13, 2017 by Helen Deffenbacher. 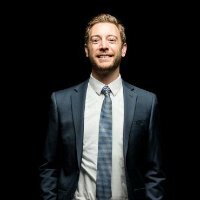 What are wind techs, why are they so much in demand, and how do you become one? Where are wind tech jobs located? sense – the jobs are near the turbines, and those areas are where most of the country’s wind towers have been built. 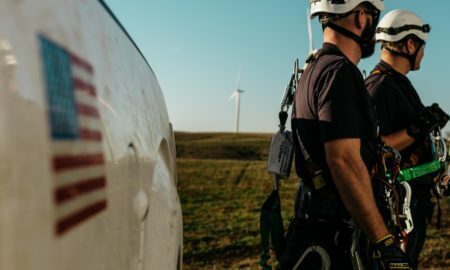 But there are utility-scale wind projects in 41 states, and every one of those wind farms needs a team of technicians to keep things running smoothly. As wind energy expands to other areas, including offshore development, even more techs will be needed. Read the entire AWEA blog post here. Nebraska’s Community College Gap Assistance Program offers financial aid to community college students taking non-credit courses that could lead to jobs in high-need fields. Eligible fields include renewable energy. Qualifying applicants are low-income students who would not be eligible for federal financial aid because, although they’re enrolled in college, they are not enrolled in courses for credit that lead directly to a degree. The program, which launched July 1, 2016, receives 9 percent of the available Nebraska Lottery funds set aside for education every year. This equates to about $1.4 million for FY 2016-17. Gap Program funds will be distributed to the state’s community colleges, which will recruit and select eligible low-income students in identified high-need fields to receive grants. Eligible students must have a family income at or below 250 percent of federal poverty guidelines. Student grants can be used for tuition, direct training costs, required books and equipment, and fees, including those for industry testing services and background check services. This entry was posted in Nebraska / Midwest News, NewsBlog and tagged American Wind Energy Association (AWEA), American Wind Energy Association Blog - Into the Wind, Central Community College, high-demand jobs in Nebraska, Nebraska College Gap Assistance Program, Nebraska Wind Energy Fact Sheet - AWEA, Northeast Community College, wind tech training programs in Nebraska, women in the wind energy industry on March 30, 2017 by Helen Deffenbacher. Our region of the country is securing its popularity for renewable energy projects, according to a report from the Lyons-based Center for Rural Affairs. Lucas Nelsen, who authored the report “Link to Rural Development and a Renewable Future,” says 41% of the new energy generation projects that went online last year were specifically wind energy projects. Read more. Photo by Megan Farmer, The World-Herald. Grand Prairie wind farm, Nebraska’s largest, near O’Neill in Holt County. Link To Rural Development And A Renewable Future (PDF). In some states, including Iowa, Illinois, Kansas, Nebraska and parts of Texas, new wind turbines can generate electricity at a lower cost, without subsidies, than any other technology, according to a report published this month by researchers at the University of Texas at Austin. This entry was posted in Nebraska / Midwest News, NewsBlog and tagged American Wind Energy Association Blog - Into the Wind, Center for Rural Affairs in Lyons, Des Moines Register, Iowa News Service, Lincoln Journal Star, Nebraska Radio Network, Nebraskans for Solar, New York Times, Omaha World Herald, Utility Dive, WNAX on December 26, 2016 by Helen Deffenbacher. 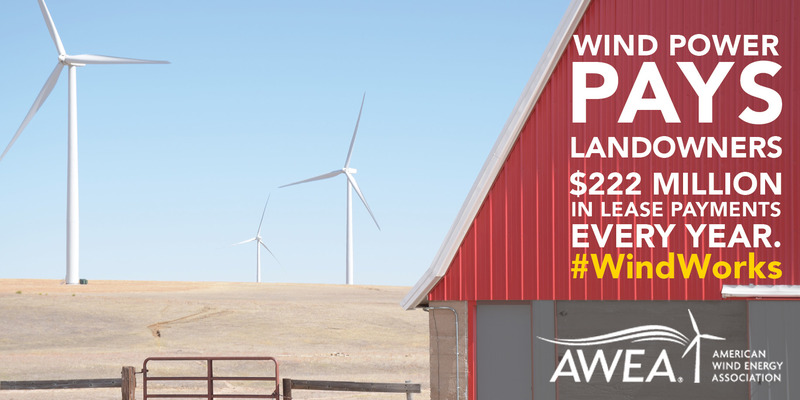 Wind farms increase local tax revenue, providing small-town America with resources to fix roads, build hospitals, and buy new emergency equipment. It’s been a huge boon for local schools . . . Wind power is now cost-competitive in many areas of the country with all other sources of electricity, saving consumers money on their electric bills and hedging against rising prices for fuel. 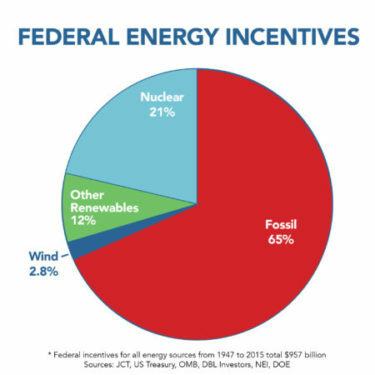 All forms of energy have incentives, most of them permanent in the tax code. The federal incentive for wind power is already being phased out starting on Jan. 1, having succeeded in creating a new low-cost solution for America’s power needs. 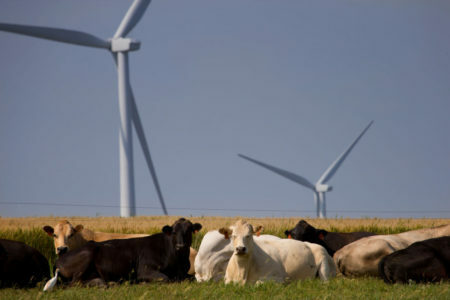 This entry was posted in Incentives, Nebraska / Midwest News, NewsBlog and tagged American Wind Energy Association (AWEA), American Wind Energy Association Blog - Into the Wind, Nebraskans for Solar, renewable energy & economic development, renewable energy development in the U.S., renewable energy incentives versus fossil fuel incentives on November 28, 2016 by Helen Deffenbacher. The United States continues to develop new clean and renewable energy resources to replace aging, carbon-emitting generating facilities. 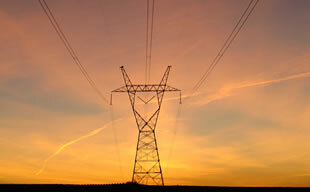 Much of the new renewable energy generation can be found in lightly populated rural areas. These locations often host significant resources for renewable energy generation and provide ample space for new development, especially from wind energy. Wind energy contributed a significant portion of new generation completed in 2015, making up 41 percent of a total 14,468 megawatts built last year. 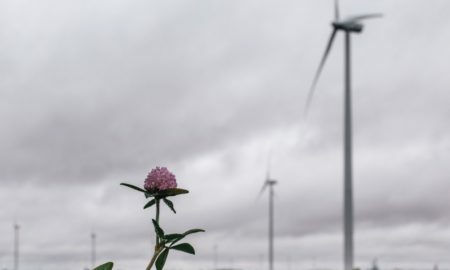 Many of these new additions were located in the Midwest and Great Plains, regions of the country that boast some of the richest wind energy resources in the nation. Rural communities in these regions stand to benefit from new renewable development, as projects provide new economic activity and revenue for these areas. Download the full report (PDF). 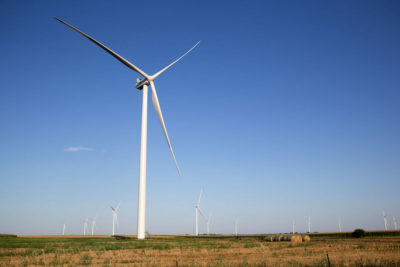 This entry was posted in Nebraska / Midwest News, NewsBlog and tagged American Wind Energy Association Blog - Into the Wind, Beatrice Daily Sun, Center for Rural Affairs in Lyons, Lucas Nelsen, Midwest renewable energy deployment, Omaha World Herald, renewable energy development in Nebraska on November 12, 2016 by Helen Deffenbacher. An annual report from the U.S. Department of Energy highlights not just the rapidly declining cost of clean energy technology, but also the speed at which deployment is accelerating. Since 2008, the cost of land-based wind power has fallen 41% according to the “Revolution Now“ report, while distributed and utility-scale solar resource costs have declined 54% and 64%, respectively. Continue reading. This entry was posted in NewsBlog, Research and tagged American Wind Energy Association Blog - Into the Wind, Climate Reality Project, Department of Energy's "Revolution Now" Report, Midwest Energy News' 40 Under 40 Awards, Utility Dive on September 30, 2016 by Helen Deffenbacher.